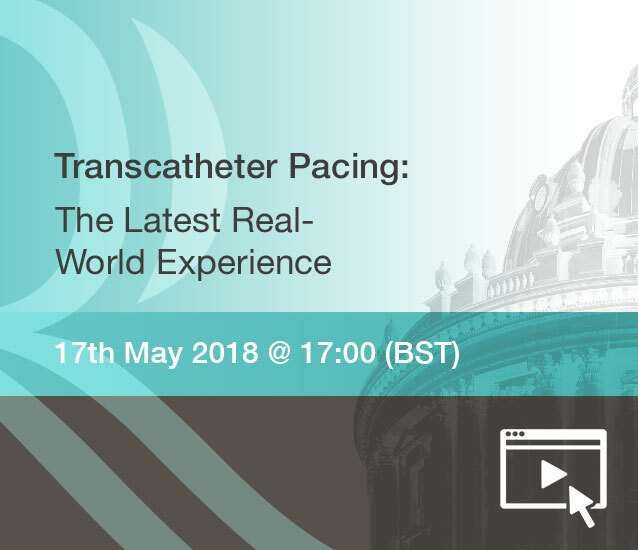 In this webinar, experts in transcatheter (leadless) pacing will present the recently published real-world data from the Post-Approval Registry and discuss how they compare to the Micra™ IDE study results. The speakers will also share their perspective on potential patient indications and illustrate this with some case reports. the potential patient indications for transcatheter pacing systems, through case reports. the results of the Micra™ IDE study and the Micra™ Post-Approval Registry, reflecting the real-world results in a wide variety of countries and patients. Cardiologists and electrophysiologists not involved in the implantation of transcatheter pacemakers, but who have patients who could benefit from the therapy. Prof. Lluis Mont is Head of the Arrhythmia Section and Atrial Fibrillation unit in the Cardiovascular Clinic Institute, Hospital Clinic in Barcelona, Spain. His research includes atrial fibrillation, cardiac resynchronization therapy and he has been involved in the Micra™ IDE study, as well as the Micra™ Post-Approval Registry. He gives Micra™ training in his hospital and serves also as proctor. Dr. Paul Roberts is a Consultant Cardiologist and Electrophysiologist in the University Hospital, Southampton, UK. He is an experienced Interventional Electrophysiologist with particular expertise in device implantation (pacemakers, ICDs and cardiac resynchronization devices) and catheter ablation. Dr. Roberts has been involved in the early development of the Micra™ and started implanting transcatheter pacemakers in the Micra™ IDE study and the Micra™ Post-Approval Registry. He is both a trainer and proctor for Micra™. Prof. Christian Veltmann is Head of Heart Rhythm Management in the Department of Cardiology and Angiology at the Hannover Medical School in Hannover, Germany. He has extensive experience in the implantation of pacemakers, ICDs, Cardiac Resynchronization Therapies (CRTs) and leadless pacemakers. Prof. Veltmann participates in the Micra™ Post-Approval Registry and serves as a trainer and proctor in the Micra™ program. Duray G et al. Long-term performance of a transcatheter pacing system: 12-Month results from the Micra Transcatheter Pacing Study. Heart Rhythm 2017; 14: 702-709. Reynolds D et al. A leadless Intracardiac Transcatheter Pacing System. N Engl J Med 2016; 374(6): 533-541. Ritter P et al. The rationale and design of the Micra Transcatheter Pacing Study: safety and efficacy of a novel miniaturized pacemaker. Europace 2015; 17(5): 807-813. Roberts P et al. A leadless pacemaker in the real-world setting: The Micra Transcatheter Pacing System Post-Approval Registry. Heart Rhythm 2017; 14: 1375-1379.